The UltraShape System can also be used to reduce fat on the thighs and flanks (“love handle” areas). 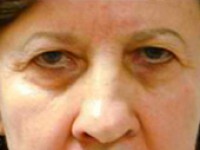 Results from UltraShape treatment are visible within 2 to 4 weeks. Patients report seeing a decrease in fat and body circumference, and an improvement in body shape and skin tightness; overall patient satisfaction with the treatment is high. According to system manufacturers Syneron and Candela, in a randomized, controlled clinical study, “patients demonstrated an average reduction of 2.5 cm [per treatment session] in the treatment phase and 0.5 cm reduction in the control phase.” To maintain results, a patient must not gain a significant amount of weight, and should continue to exercise.